the history of this diverse, metro area. Follow City Lights, Winooski on Instagram! See build progress and happenings in this beautiful city. 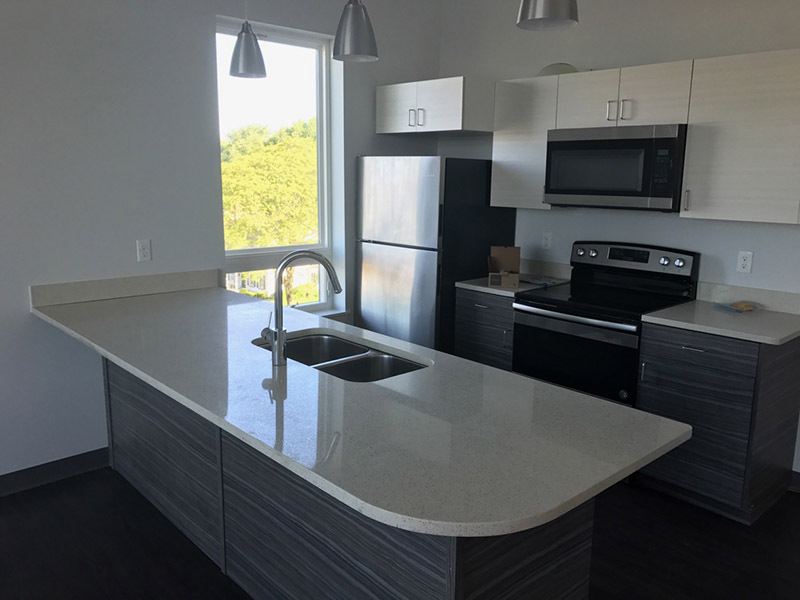 City Lights offers modern/urban living in Downtown Winooski. This 27-unit apartment building includes upscale amenities, such as: secure-locked-underground parking, secured building access, gigabit fiber internet, a fitness center, air-conditioning, large roof top terrace - to relax and take in the view! Indoor storage closets can be rented for additional space. City Lights incorporates gothic architectural features in its modern roof design which give 16 foot cathedral ceilings and additional light into the penthouse units. Living in downtown Winooski allows you walkable access to restaurants, shops, events and many conveniences of city life!